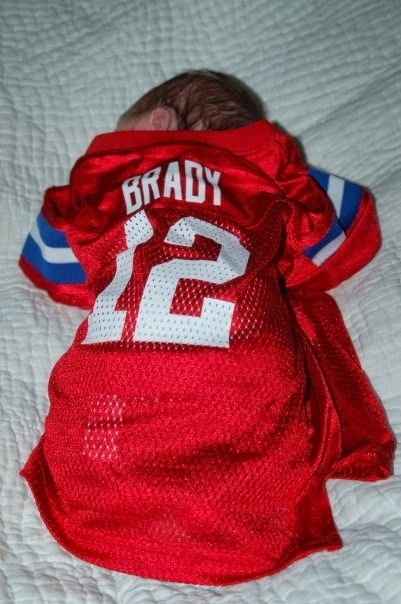 You owned your first Patriots Jersey before you were even born, a Brady one, just like your Daddy. 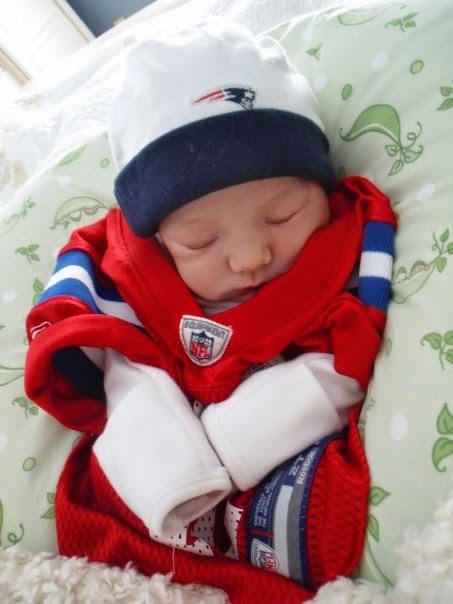 You were only four days old the first time you put it on. Daddy & I couldn't be happier. 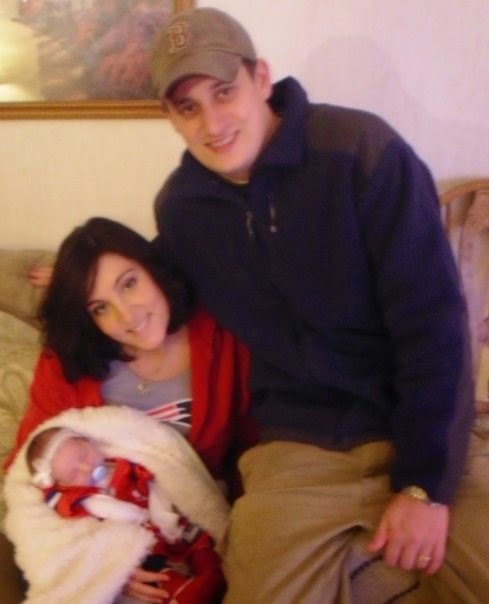 The Patriots were in the playoffs, & we were watching them play with our adorable, squishy little baby in our arms. You didn't really watch the game. You mostly slept...& ate...& pooped. It's probably good that you don't remember that game. 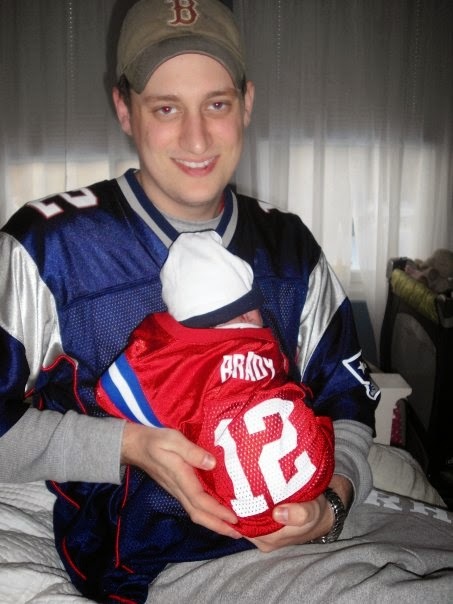 The Patriots lost, & that ended any hope we had for a Patriots Superbowl that year. 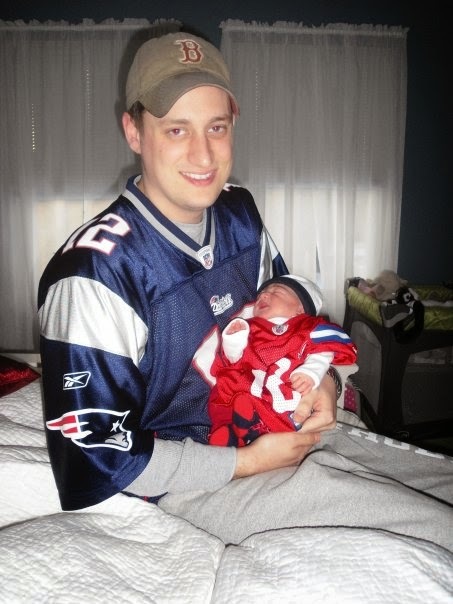 Five years later, you still wear a jersey on game days. 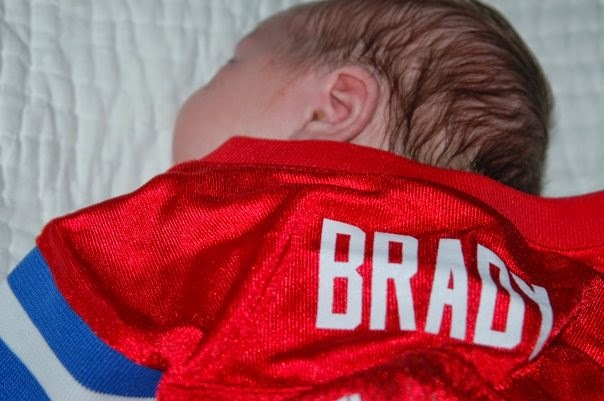 You grew out of your red one a couple years ago & now run around in a blue Brady Jersey (still just like your daddy). 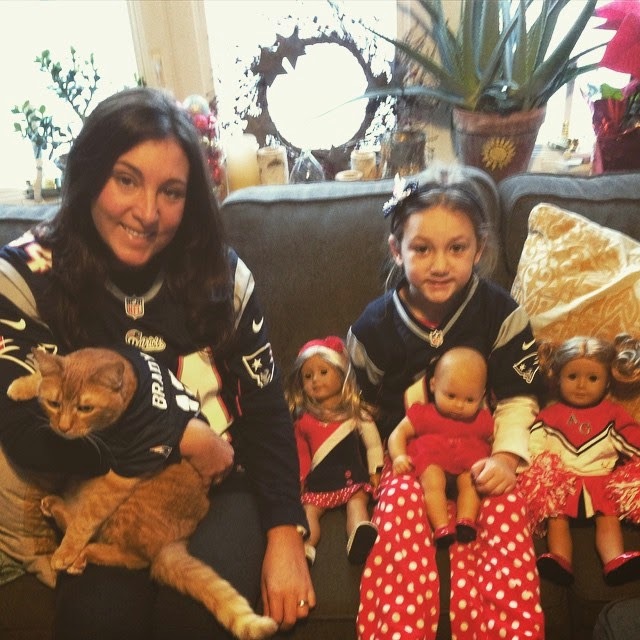 Sometimes you dress up your dolls in team colors (& I dress up our cat, Charlie), ready to cheer for the Patriots. You still don't exactly watch the games. Someday we hope you'll be able to watch full games with us. For now, you prefer to play in the next room & come out occasionally for moral support for Daddy & I. 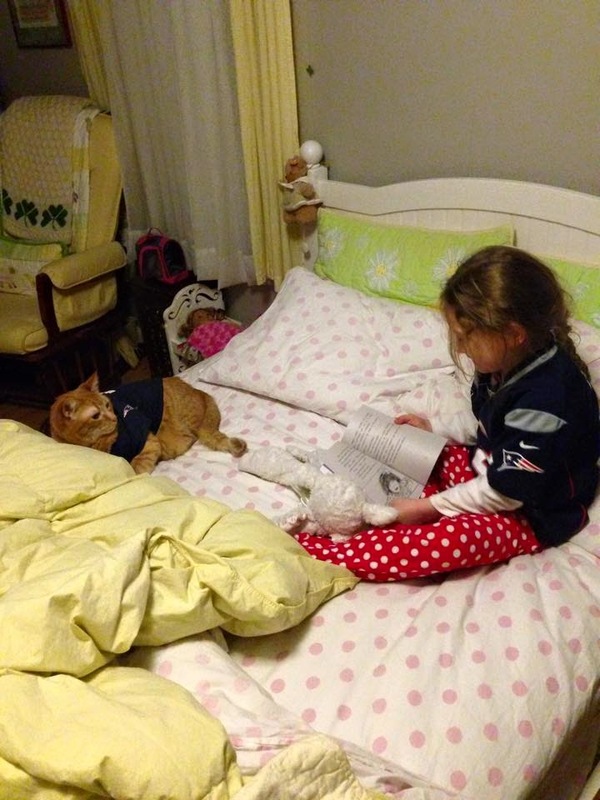 You give us hugs, tell us you love us, give a little "woooo" to the Patriots, & then go back to your movie, playing with your dolls, coloring, or reading to Charlie. 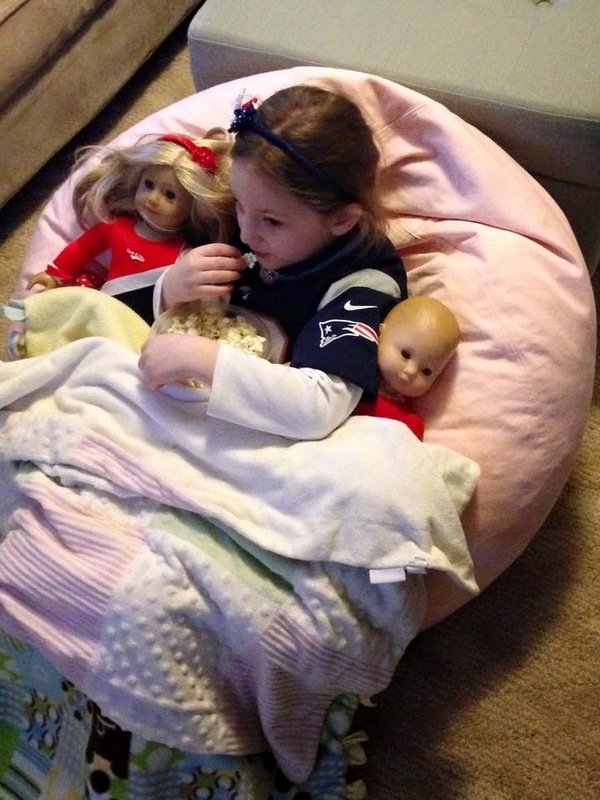 You make sure to join us every time the Patriots score (you know that they've scored by the obnoxiously loud yelling & clapping coming from Daddy & I). 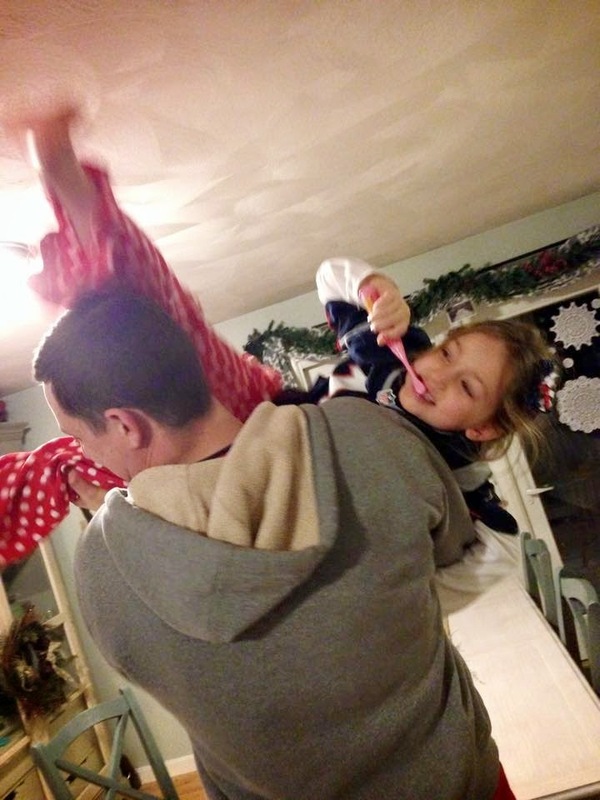 We pick you up & run you around the house, wooooing & cheering & laughing all the way. This is how you will find us again this Sunday, sitting on the edge of our seats for every heart pounding moment. 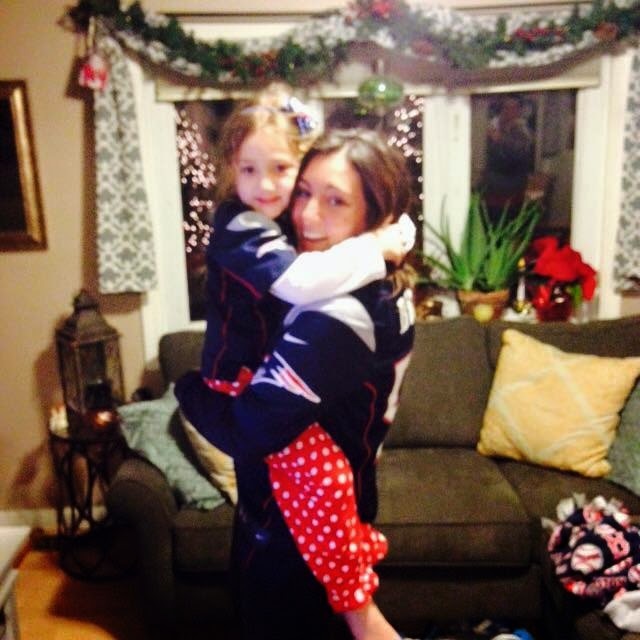 I freaking love it, & I freaking love you, our little Patriots fan.